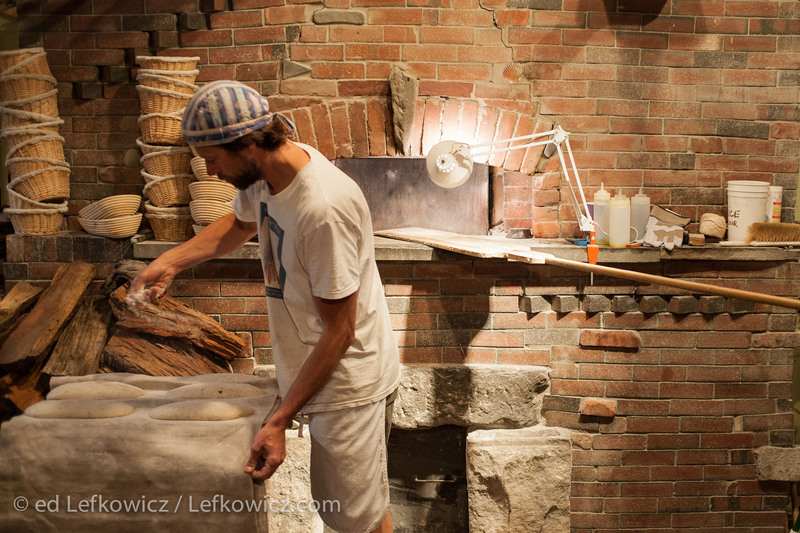 Andrea Colognese of The Village Hearth Bakery and Cafe, preparing loaves of bread for the oven. Colognese built the oven himself. What’s a photographer doing writing about marketing trends? Simple: I shoot for clients who are marketing to consumers, to other businesses, and within their own corporations, and I want to help any way I can, not just by providing great images, but by providing the right great images. So I want to tie a recent piece in the NY Times with two trends I recently read about. There are predictions in profusion for marketing trends in 2015, and I predict even more for 2016. (I’m prescient that way …) Lee Odden went to a number of marketing gurus, and wrote about their predictions here. Two that stood out to me are Ann Handley‘s note that brands are publishers, and will be producing more and more useful content for consumers, not just sales-heavy fluff. The second is by Ekaterina Walter at Branderati, who thinks visual storytelling will become more and more important: “In the age of infobesity and increasing digital noise, visual storytelling will continue to emerge as a strategy for not only standing out, but also for nurturing and growing vibrant and engaged communities. The ability to craft visual stories that inspire emotion and spark the movement will help companies get noticed and amplify their message throughout those communities.” I like the term “infobesity”, by the way. I found these a couple of weeks after finding this piece on the Times on brand authenticity, which featured the online retailer Zady. Zady’s blog has a lot of content on the sources of their products, the sustainability of their products, and the people who make their products. It also has info on how to care for their products—unusual when a lot of stuff is designed to be discarded after a short time, and not cared for or repaired. 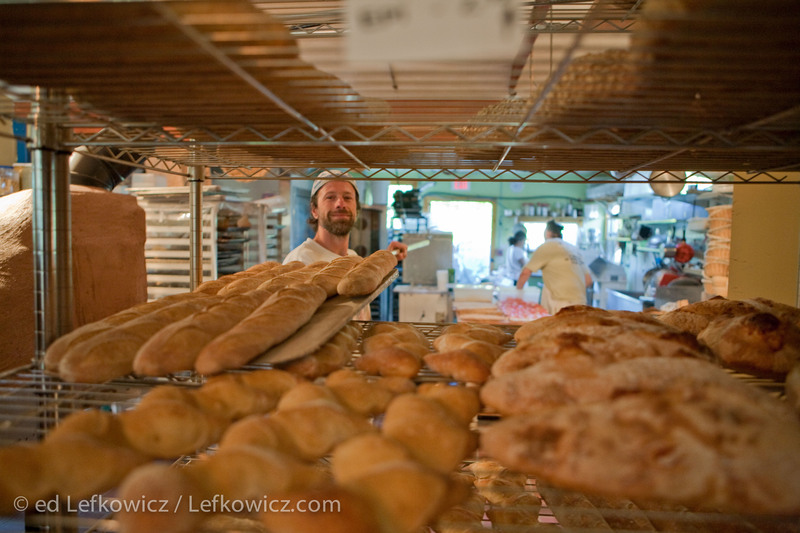 Andrea Colognese of The Village Hearth Bakery in Jamestown, Rhode Island, placing bread fresh from the oven onto cooling racks. In the end, brands connect with people by telling real, engaging stories, not just by touting stuff. We all need, want, and buy stuff. But increasingly we want and buy stuff because we like, and buy into, the story behind the company and the stuff—because it relates to our interests and ethics. My photography has been story-driven from the beginning, and in a conversation I recently had with an agency for a potential new client I brought up the relationship of story to their product. “Yes!” the agency said. “That’s it!” So how can you best tell the story behind your product or service?